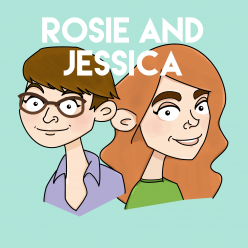 In episode 20, Rosie gets us all caught up on her exciting trip to hospital and her recommendations for which painkillers are the most fun. Jessica has been to the theatre to see a musical based on a hit compilation album, there are the Top 5 things to do when you’re poorly and a heartwarming tale of American Girl dolls. This episode was produced by Head of Surgery Kaley.